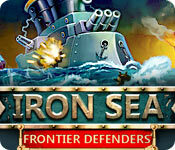 Iron Sea: Frontier Defenders is rated 3.5 out of 5 by 6. 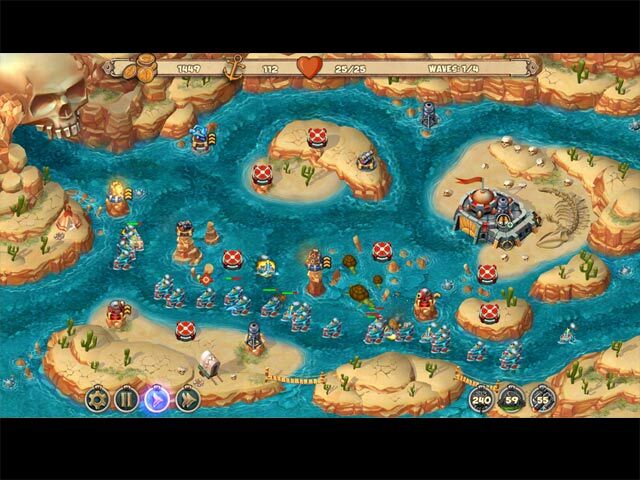 Rated 5 out of 5 by RPGirl from Great Tower Defense game Very Easy to play, but hard to master! These games are an obsession of mine and I can't stop until I have finished all levels with all the stars! Rated 5 out of 5 by Sherrill from More Please! I love Tower Defense games, and while I agree with the other reviewer who said there was nothing new that's okay by me. My only complaint was how few "waves" there are so it's hard to level up the towers but that is minor. Please BFG more tower defense games!! Once a month (if we're lucky) is not enough. 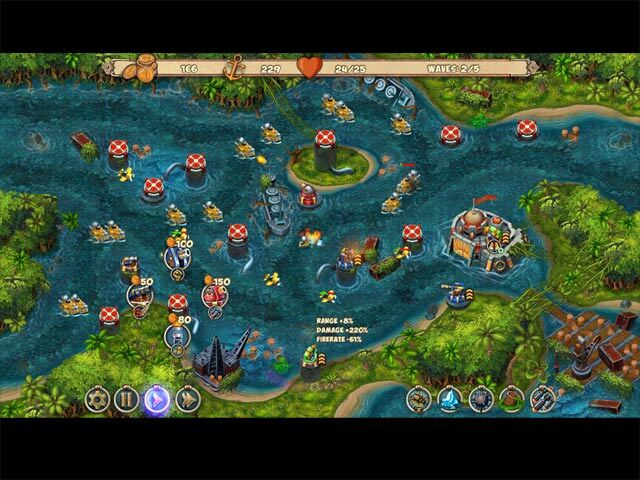 Rated 5 out of 5 by pennmom36 from Defend The Frontier I'm a big fan of Tower Defense games and particularly when they take place at sea. 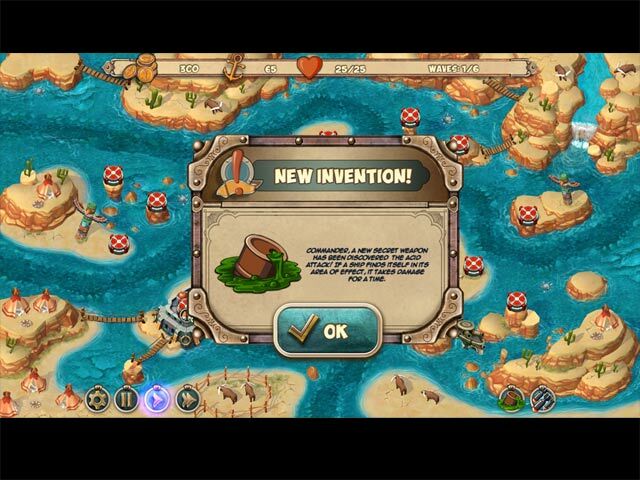 The object of TD games are to build weapons such as light or heavy cannons, to defeat the groves of warships and keep them from entering your frontier/castle. The weapons can be upgraded to cover more area and you must strategically place the weapons upon various platforms, anticipating which path the ships will take. You earn money and anchors (loot) and you can purchase upgrades at the shop such as, weapons cost less, weapons cause more damage or weapons cover a larger area. You can also purchase common bonuses that will give you more health, earn more loot or buy airstrike missiles that can be used manually as a last ditch effort. If you haven't played a TD game you should give it a try, it's very addictive and easy to learn because of the tutorial available and there are three modes of difficulty, Easy, Normal and Hard, enjoy! Rated 3 out of 5 by Cornishwizard from Much of a muchness If you have never played a tower game then I'm sure you will enjoy this game but, if you have already played Fort Defence v. 1 & 2 and Iron Sea Defence then I think you will agree with me that this current game holds little surprises if any. So for me this is a "No No" simply because it is so repetitive, but like I said at the start, if you have never played one of these games, give it a go, there's nothing to loose is there?. Rated 2 out of 5 by tntgregor from Not my favorite I bought this game, but got bored very quickly. The storyline is typical and the levels are far too easy. I generally love tower defense games, so I was pretty excited when I first saw this one. However, I finished the first few levels so quickly and without even trying. Not a challenge at all. Rated 1 out of 5 by planetankh from Same Developer's Previous Games No effort by developer (8 Floor) to bring anything new to their previous releases. No effort in development, no creativity -only a slightly different background-that's it. Their previous tower defense games were ok but numerous glitches. I love Tower Defense Games but find there's impossible to progress past a certain level.